It’s become an annual thing…the Flux logo competition! 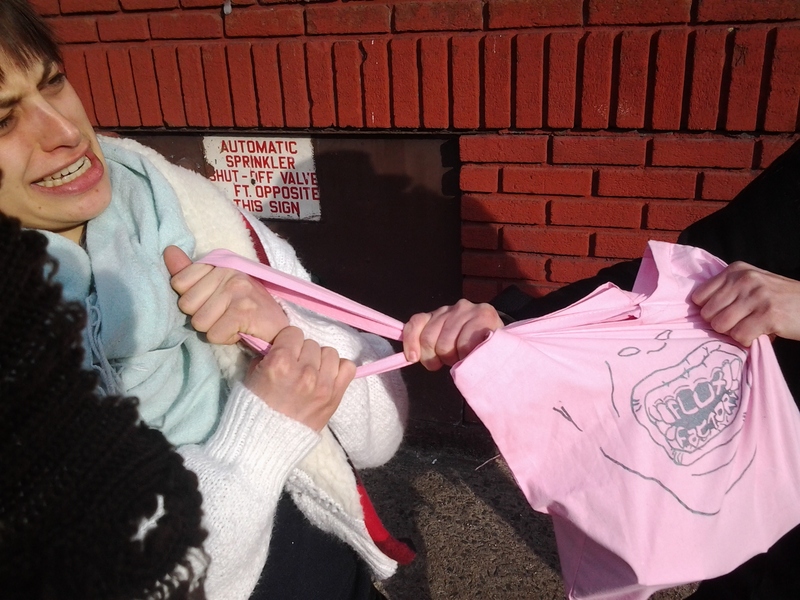 This year’s winner, Douglas Paulson, designed “Flux Grillz” for printing on pepto-bismol pink tote bags. 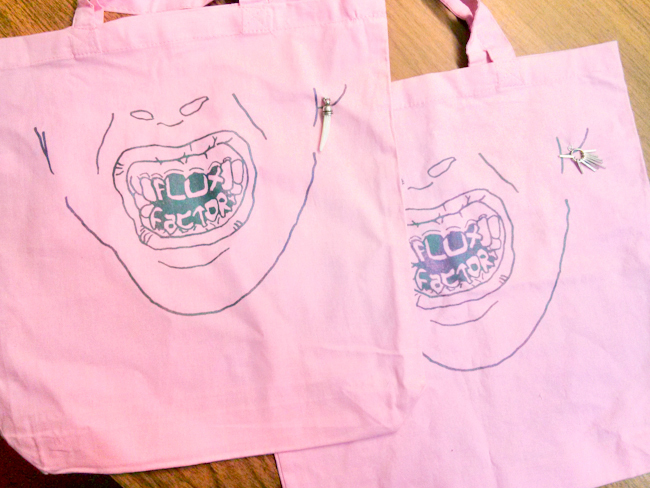 The totes were silk screened at Flux Factory, and each has a unique hand-sewn detail: an earring that dangles from the lobe of a gender neutral and dentally-challenged Fluxer. Just in time for the holidays! Grab one for $15 + $4 shipping.